Twenty years into its pioneering journey, Gainesville, Fla., natives Less Than Jake - comprised of lyricist/drummer Vinnie Fiorello, vocalist/guitarist Chris DeMakes, vocalist/bassist Roger Manganelli, saxophonist Peter "JR" Wasilewski, and trombonist Buddy Schaub - have had their fair share of moments. For a band obsessed with interacting with its fans, both online and after shows; for a band that is so concerned with making sure the fan gets the perfect experience, with well-known hijinks in every live performance; for a band with seemingly unlimited creativity in the form of physical products, from custom-made cereal boxes to unique vinyl packaging; and for a band that is so passionate when writing new music, 20 years begins to seem like an even longer amount of time. A lot of moments add up over two decades - teenagers grow into men over two decades - dare we say, things change? Ever-adapting to the constant change in an unsure music industry, Less Than Jake is still making cannonball-sized splashes in the deep end while many of its peers timidly eye shallow waters. With the release of Greetings And Salutations this sentiment is as true as ever. The twelve-track release recorded at The Moathouse in Gainesville and produced by Less Than Jake's own Roger Lima, includes both limited edition EP's Season's Greetings and Greetings From Less Than Jake plus two unreleased songs. The twelve tracks are pure unfiltered LTJ, Sunny ska mixed with barn-burner punk rock, more intended to get long-time fans and first-time listeners warmed up and moshing in their living rooms and singing along to every lyric. Keeping its signature mix of punk roots and horn-driven melodies, songs like "A Return To Headphones" and "Finer Points of Forgiveness" take the best of old-school Less Than Jake and put on a fresh coat of paint for an amped-up listening experience. Drummer Vinnie Fiorello puts the release into perspective "We had been writing music in short creative bursts for the last year but looking back at all the songs they wound up more of a cohesive thought, following the moods of the seasons of the year, from the winter through the summer. Greetings And Salutations is as much moody and tense as it is casual and laid back"
Greetings And Salutations is the follow up to 2010's TV/EP and the band's last full-length, 2008's GNV FLA and is being released in Europe and the UK via Rude Records on October 16th. With the rest of the year of worldwide touring ahead, the group is still following through on its mission to please the fan, wherever the fan may be. 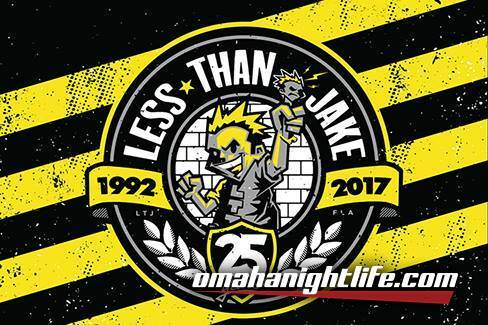 More so than many bands that have been doing this for so long, Less Than Jake continues to provide output that loyal fans love. From a 16-minute EP of TV theme show cover songs to re-releases of their classic back catalog to live shows of genre staples Losing Streak or Hello Rockview in their entirety, Less Than Jake has done it all. Less Than Jake will continue to do it all. "We're constantly pushing ourselves to come up with new ways to present the band," says Schaub, "whether it be within the writing of our songs, ideas for keeping our live shows fresh, coming up with crazy new merch ideas, or just coming up with the best joke in the van. 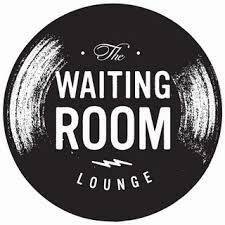 Keeping your band new and innovative is the key to lasting around for more than a minute in the minds of fans." As the release of Greetings And Salutations proves, this isn't a band content to rest on the laurels of past success. In fact, 2012 is more about pushing forward and breaking new ground, rather than contemplatively reflecting on the success of yesteryear. A constantly innovative force in the industry, DeMakes says the band has managed to stay around so long by staying true to themselves. "Twenty years of blood, sweat and beers," DeMakes says. "It's been a privilege and a pleasure. We have survived more trends than we can count and have managed, so far, to leave a legacy of music two decades long.